On the previous page, I gave some brief history of the blogging platform, showed how to purchase a domain with a web hosting account through GoDaddy and how to create a database for WordPress. 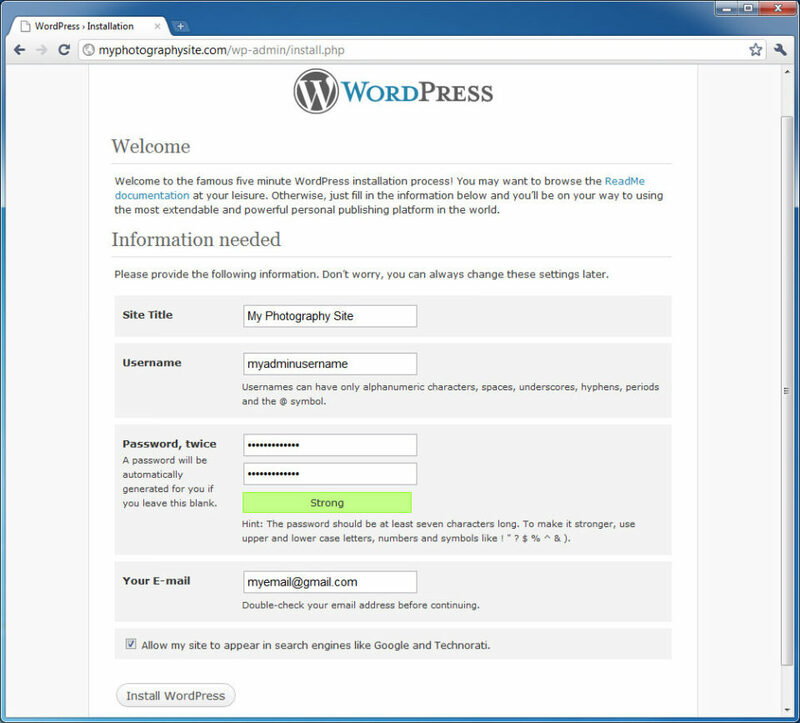 Now I will go through the WordPress installation and configuration process for your future photography blog. Let’s get going. You are given two options to download WordPress – in zip (archive) or tar formats. 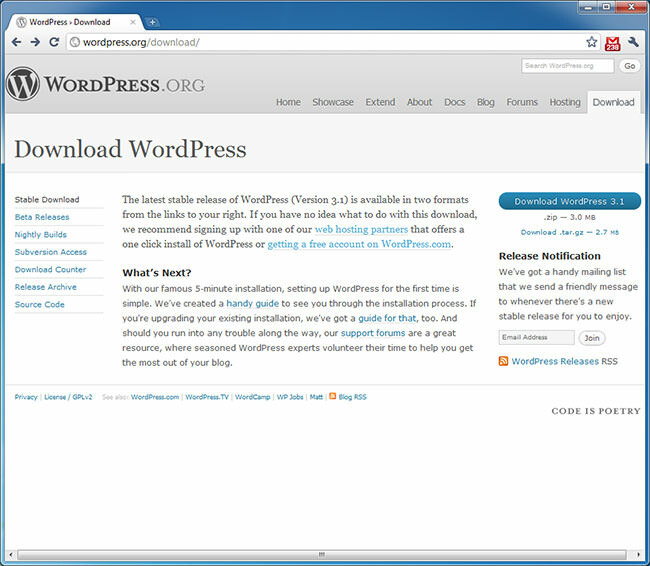 Just click the blue download button and your browser will start downloading the zip version of WordPress. Once the file is downloaded, open it up on your computer and extract the files to a local folder. If you have a newer version of Windows or MacOS, the operating systems come with an archiving tool that can be used to extract all files from the zip file. If you are using an older version of Windows such as Windows XP or an older version of MacOS, you will need an archiving program like Zipeg to extract the files. Our next task is to upload all of the files that you have previously extracted to a folder on your computer to your hosting account. There are several ways to upload files to your hosting account. 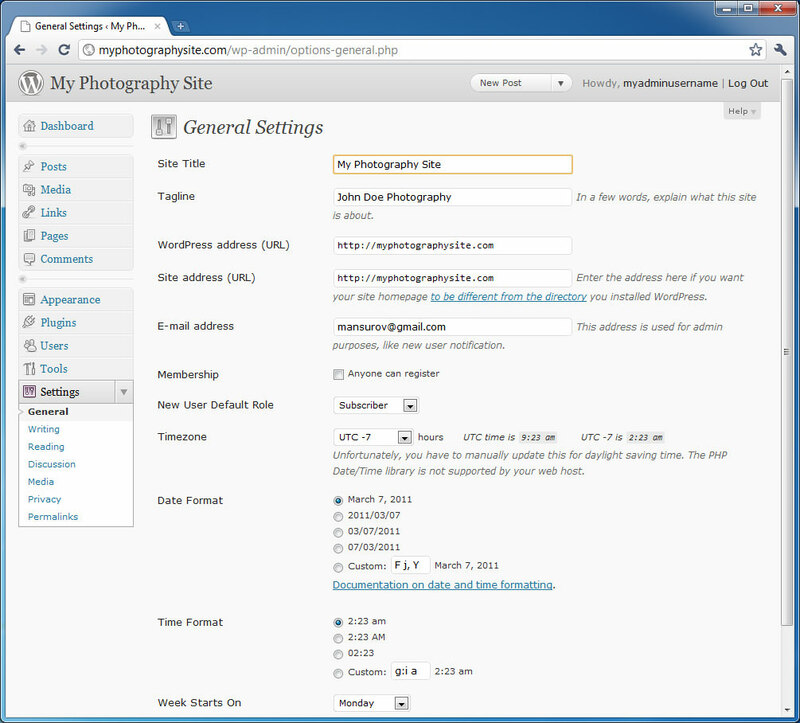 You can either use a built-in file manager within WordPress, or you can use an FTP client. The file manager works great and you can use it to upload files from your computer to GoDaddy. The only problem, is that the file manager is not really designed to upload files within folders, which is a problem, because WordPress has many levels of folders and files within those folders. Therefore, the only other choice is to use an FTP client – a program that is designed to upload files from a computer to a remote server and download files from a remote server to a computer. If you have already used an FTP client to upload files before, then just use the login and password you generated when you configured your hosting account in Step #8 and use your domain name as the FTP server to connect to. If you have never used FTP, then read along. 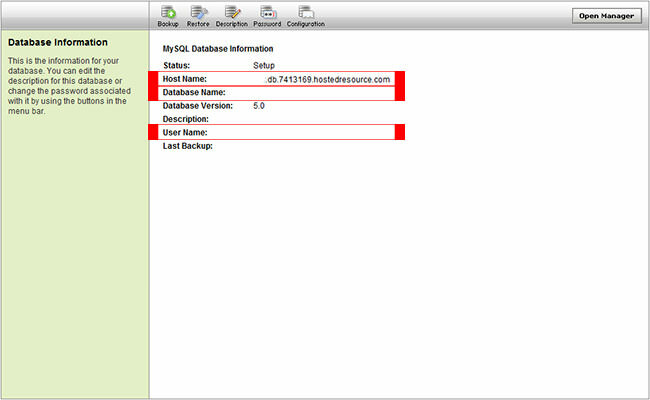 The left side of the page is the “Local System”, which is your computer, while the right side is the “Remote System”, which is your hosting account. You do not even need to provide a username and password or the server to connect to for this client – you will already be logged into your account. Do not pay attention to what it says on the right side under “Remote System” – there will be some standard files and directories there that you should not delete. As I have mentioned in #9 from part 1, I recommend placing your WordPress blog to a subfolder within your domain, so that you could place your portfolio page on the main domain instead. A good subfolder name is “blog”, which will make the URL of your blog something like “myphotographysite.com/blog” instead of just “myphotographysite.com”. If you are not planning to have a separate portfolio page in the future, then don’t bother with a subfolder and put everything on the main folder structure. If you do want your blog in a subfolder, go ahead and create a new folder by clicking the very first icon on the bottom of the “Remote System” side that looks like a yellow folder with a yellow circle on top. You will be prompted for a folder name – type “blog” and click OK. The right side will refresh and you will see a folder called “blog”. Double click that folder to get into it. Now it is time to upload the WordPress installation files into that folder. Under “Local System”, locate the folder where you unzipped all WordPress files. Once you get to the extracted files, you should see folders like “wp-admin”, “wp-content” and “wp-includes” with a bunch of other files. Select all of the files on the left side of the screen (pressing CTRL+A will do the job), then click the right arrow in the middle to start transferring the files to the blog folder you created earlier. The upload process will take a while and once it is complete, the “Remote System” side will get refreshed and all files and folders you uploaded will show up there. Just make sure that you see the same files and folders on both sides (if you upload to the main folder, you will see some extra files and folders). The upload process is now complete! 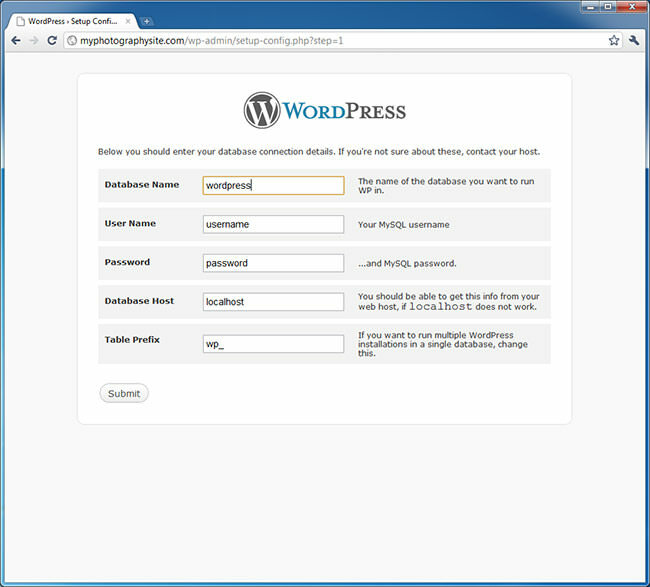 Now we are ready to install and configure WordPress. At this point, there is no need to change anything under “Writing”, “Reading”, “Discussion” and “Media” Settings pages – we can change those later. Let’s go over the two most important Settings pages now – “Privacy” and “Permalinks”. When you installed WordPress, the setup page asked you if you wanted your website to be visible to search engines. You obviously do want to be visible on search engines, so visit the “Privacy” page under settings and make sure that you have the first option selected. If it is set to “I would like to block search engines, but allow normal visitors”, search engines will never crawl your blog and you will never appear on search engine results. Therefore, you need to carefully choose the right option here. There are very few cases when people actually want their blogs to never appear on search engines. Unless you know what you are doing, you should just keep the first option selected. 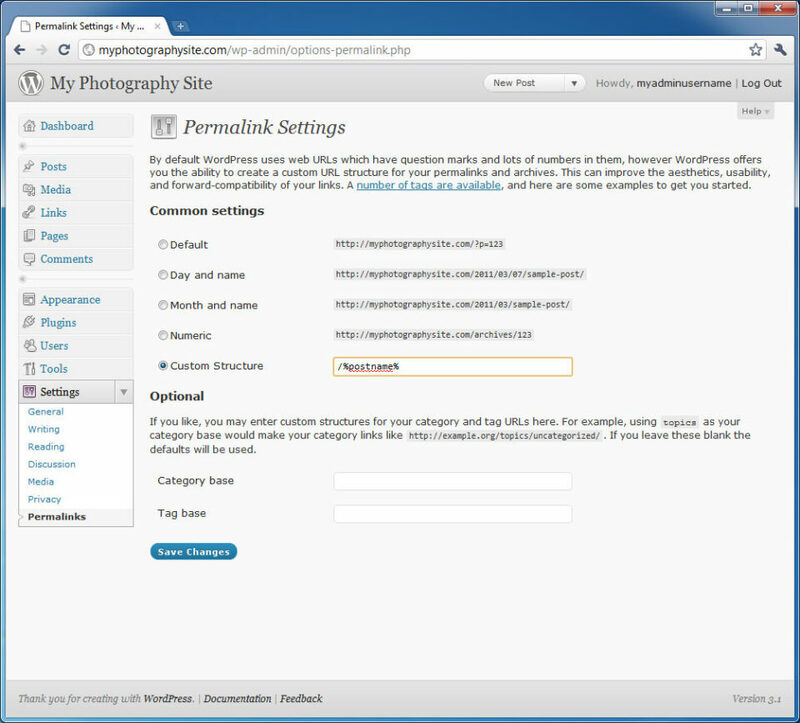 Go ahead and click the blue “Save Changes” button on the bottom of the page to write the changes to Permalink Settings. This is how a default WordPress installation looks like. Don’t worry, we will change all of this very soon. At this point, we just need to make sure that the links have been updated just to have the name of the post at the end of the URL. 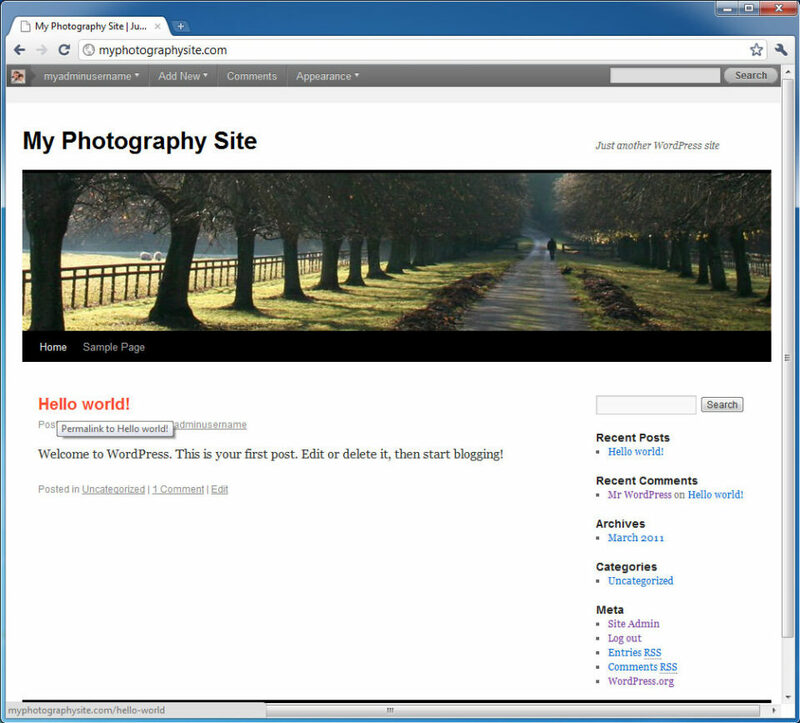 Click on the first “Hello world!” article and take a look at the link on your browser – it should say something like “myphotographyblog.com/hello-world”, which means that the new permalinks structure is now working. A quick note to advanced WordPress users: I know that having such simple permalink structure is not good for performance and other reasons, however, I like my URLs to stay simple and meaningful while being search engine friendly. That’s it! 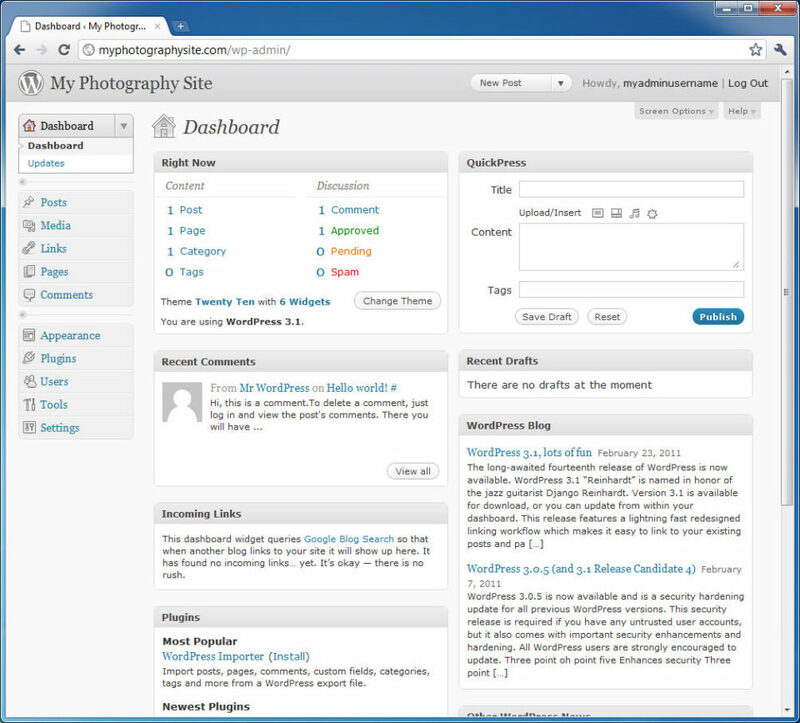 WordPress is now installed and the basic configuration is done. Let’s move on to some site customization and plugins.